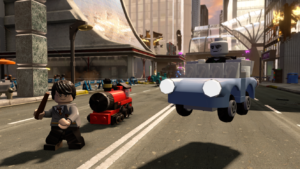 One of the biggest franchises to come to LEGO Dimensions in Year 2 is of course Harry Potter. We already know that a Harry Potter Team Pack and a Fantastic Beasts & Where To Find them Story Pack will be coming this year. 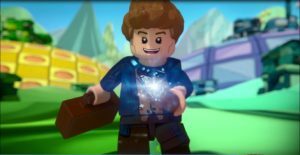 But thanks to an article over at Pottermore, we got our first look at some screenshots from the Harry Potter content in LEGO Dimensions. 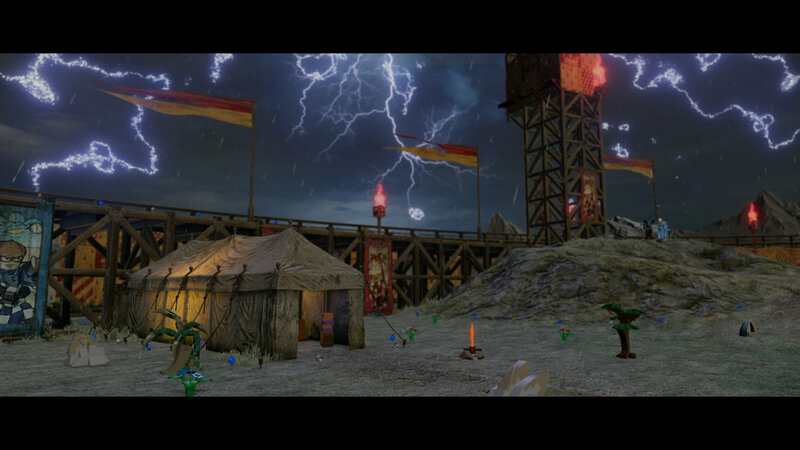 Most interestingly to me is the image above, which shows a quidditch field, which will be part of the Harry Potter Battle Arena. 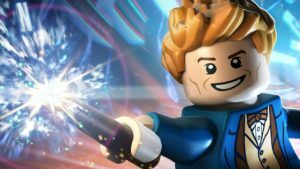 LEGO Harry can cast an adorable LEGO version of his stag Patronus, and there’s also pretty magnificent looking Quidditch pitch-themed Battle Arena to look forward to. The expansion pack […] unlocks a Harry Potter themed Adventure World with a Battle Arena where you can challenge up to 3 friends in action-filled competitive split-screen games. Interestingly it says it’s all split-screen. 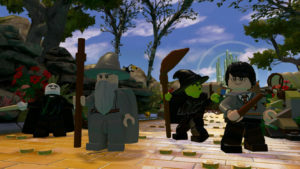 So perhaps you can play as 4 players on the same system? That’d be a lot of fun! Now it doesn’t confirm that you can actually play quidditch, but you would have to think so, no? 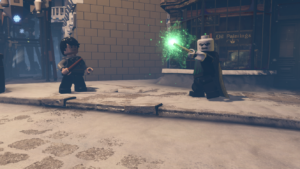 Below are some screenshots of the Harry Potter characters in the LEGO Dimensions world. 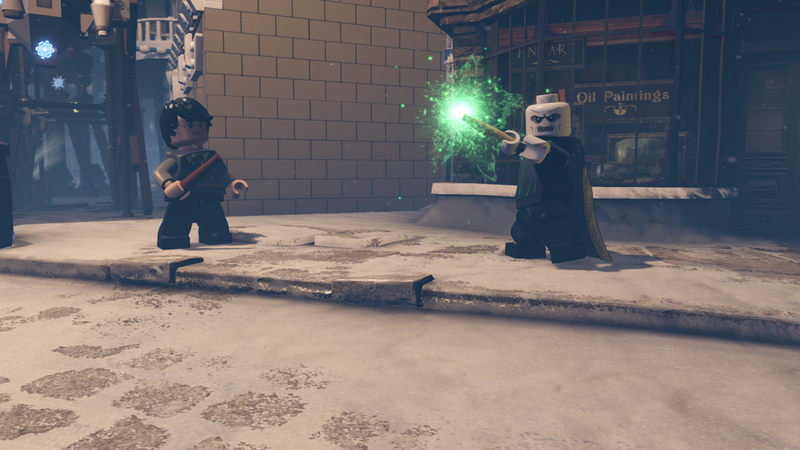 Right now you can pre-order the Harry Potter Team Pack which will release on September 27th.